Arizona is home to a handful of those incredibly vivid road trip photos you see circling the Internet. Get outside this weekend and see the most beautiful natural hideaways right here in your backyard! Kayak through mystical green, Jello-looking waves at Emerald Cove or hike to the real life version of Willy Wonka's chocolate waterfall at Grand Falls. Watch the video above to have your mind BLOWN at the natural beauty of this state! 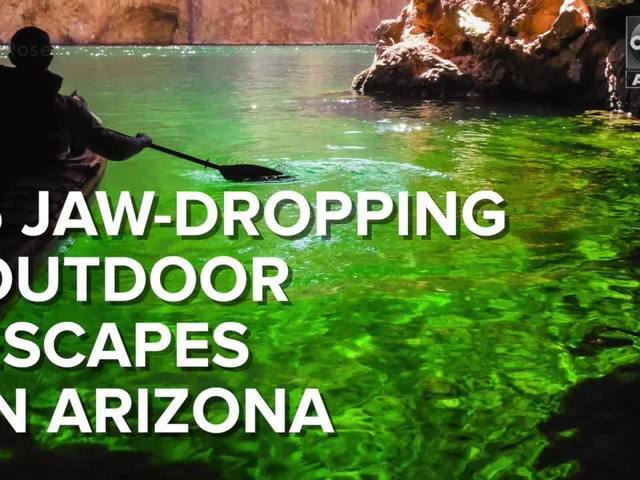 RELATED: 5 hidden waterfalls you need to road trip to in Arizona! MORE: 5 things you don't know about Havasupai Falls!